In the land where coffee is king, it’s easy to forget there are alternatives to power us through the day. 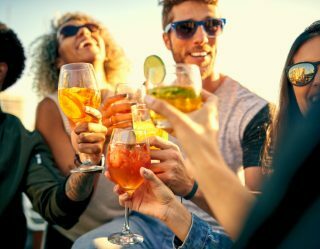 While they may not have the same habit-forming magnetism of a great cup of coffee (or the hangout-and-sip-the-day-away-with-friends vibes), these oft-overlooked beverage options offer a clean-burning alternative to your daily grind. 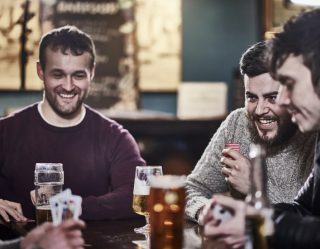 Even if these don’t replace your best friend altogether, they at least offer a plan B when your stomach starts to burn and your head gets all woozy in that special you-had-too-many-espressos kind of way. Supplement your coffee exit strategy with these eight tasty escape routes. 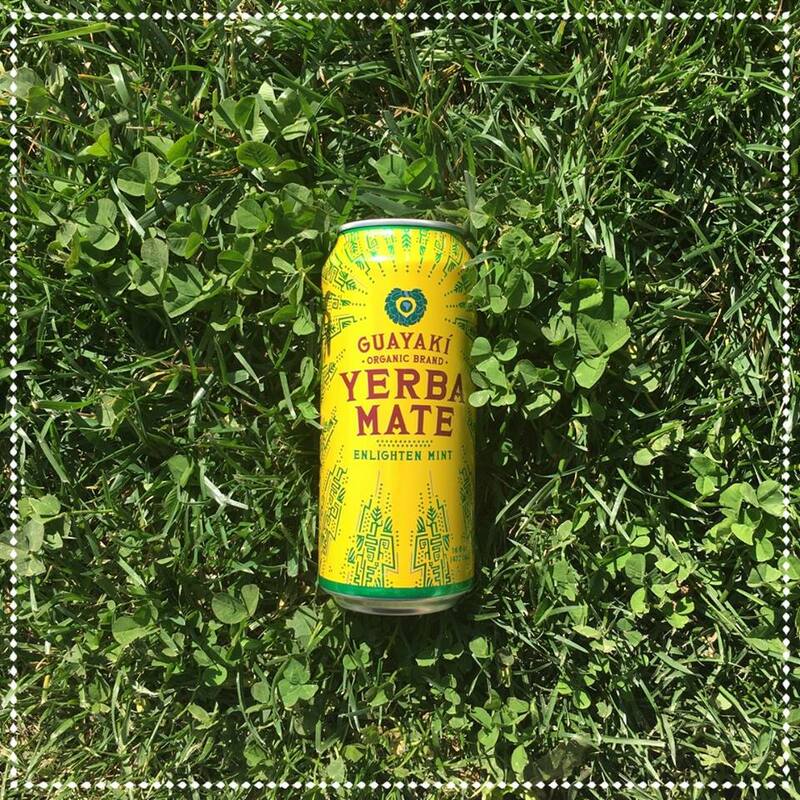 Found deep within the Amazon jungle, yerba mate is the slightly bitter, tea-like drink that out-punches anything in its weight class. Made from the leaves of the Brazilian holly tree, this wonderful coffee substitute has the most nutrients of any vegetation on Earth. Containing about as much caffeine as a cup of java, this clean-burning fuel will power you through your day without the nausea and jitters that eight cups of coffee bring to the party. Now sold in an assortment of flavors including blueberry, peach, lemon, and mint, our favorite remains the original (with a spoonful of honey). Steep at home, or pressure drip through an espresso machine. You'll wonder how you got so much done and still had the energy to play ultimate Frisbee with your stoner friends from Palo Alto. The Book of Tea by Okakura Kakuzo, published in 1906, breaks tea into three schools: boiled tea, whipped tea, and steeped tea. While nowadays we live firmly in the era of steeped tea, matcha, by design, belongs to the whipped school. 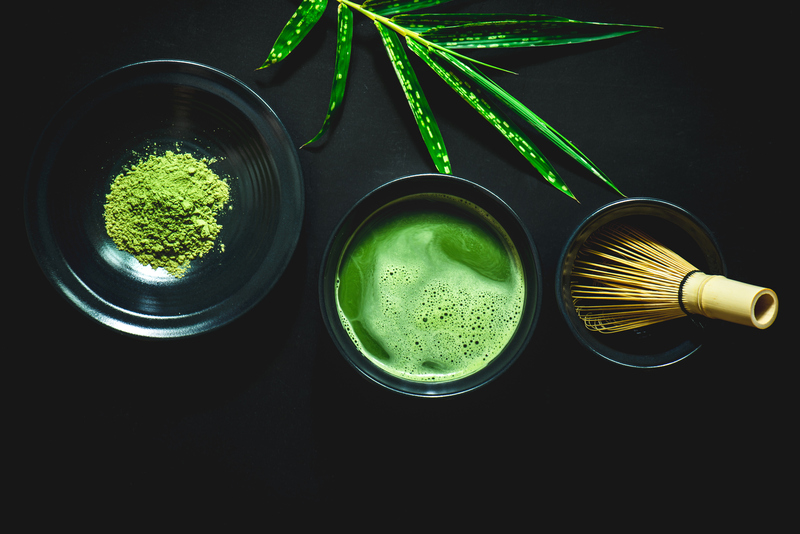 Matcha, a green tea grown in Japan using the farming technique of shade-growing the plant for the last three weeks before harvesting, produces more caffeine and theanine than other teas. Once the stems and veins are removed, the leaves are dried and ground into a fine powder, then whipped with boiling water to produce this aromatic, frothy, deep-green libation. One slurp will lift your spirits faster than an X-Wing in Yoda's backwoods bayou. Expensive it is, but enjoy it you will. Fungus is the bio-active subterranean network hiding beneath healthy jungles and forests around the world. It's no wonder, then, that good mushrooms contain some seriously beneficial, mind-altering effects. Chaga mushrooms grow like black beehives up and down the trunks of birch trees, and produce a flavor similar to coffee. 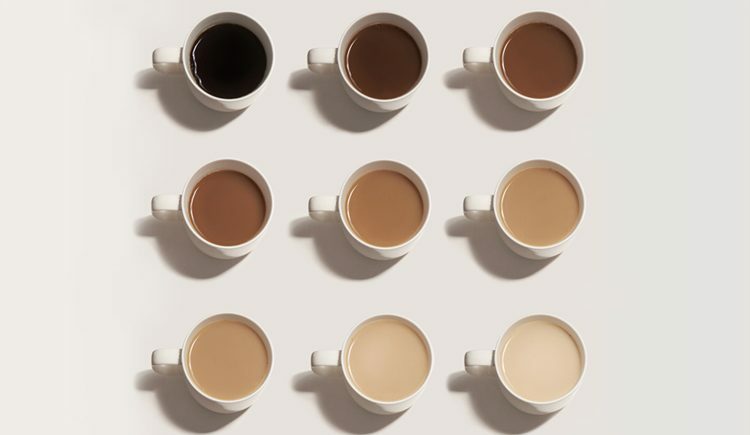 A full cup will jump-start your day, focus your mind, and have you donning a cape as you tackle the household chores, hit your morning run, and dash off a dozen emails, all before the rooster crows. 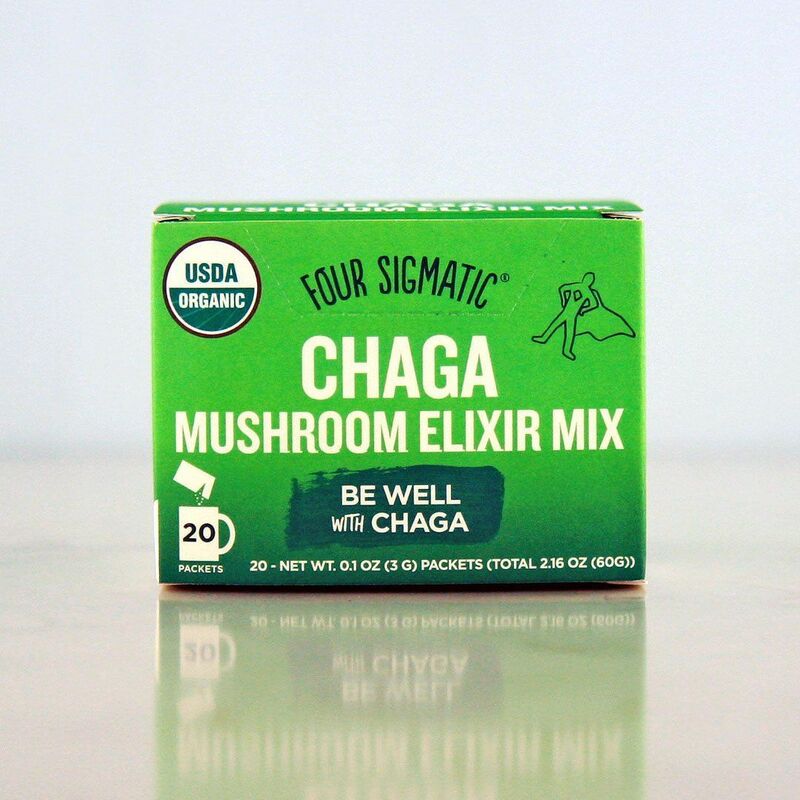 If you are looking for a natural, caffeine-free, antioxidant-filled alternative to your morning joe, Chaga Mushroom Elixir may be just the thing you're looking for. 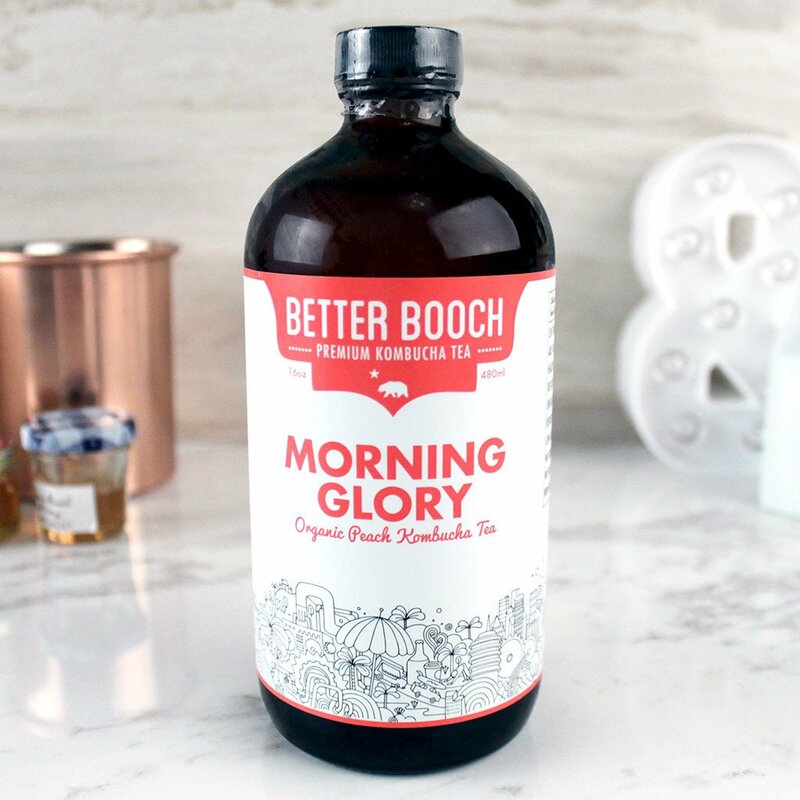 Claiming to be "the world's best coffee substitute," this spiritual concoction made from a blend of rye, barley, chicory, and ashwagandha, will warm you up in all the right places. 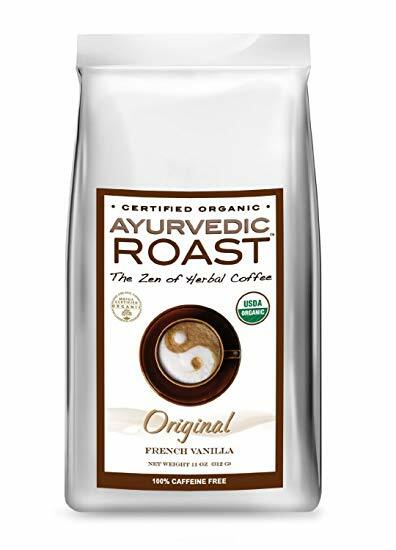 Based on the principals of Ayurvedic medicine (the 3,000-year old Indian practice of holistic healing) this beverage has well-being written all over it. Ashwagandha has made the rounds on social media thanks to the likes of Gwenyth Paltrow and other health gurus. Why? Because this Indian "ginseng" runs the gamut of heath-related benefits. It boosts testosterone, fights cancer, increases muscle mass, enhances cognition, strengthens your heart, burns fat, and massages your little stress demon (just to name a few). All in all, this roasted delight is a worthy competitor for your post-coffee attention. What's 6,000 years old, smells funny, and makes you go, "Ah!" That's right, kombucha. This probiotic tea is lightly fermented, making it extremely effervescent and a tiny bit alcoholic. Using basic black, green, or white tea, you add sugar or honey, pour into a sterilized container, and store in a dark, temperate place for the next couple weeks. The secret ingredient? A cute little fungus called SCOBY. The acronym stands for Symbiotic Culture of Bacteria and Yeast, and this little white creature is the coolest kid at the bacteria party. He gets along with the jocks, the nerds, the theater kids, and even the freaks. SCOBYs are such good-aura fungi, people have been known to use them to remedy skin ailments. If you are into DIY home-brewing, get yourself a SCOBY today and you'll be drinking custom kombucha in no time. If not, your local supermarket has a bottle waiting for you. It's not easy to find a cup of chai in America as soul-warming as the kind once found in a 1980s Bombay backstreet. But given some practice, you can churn out a mighty fine cup in your very own kitchen. 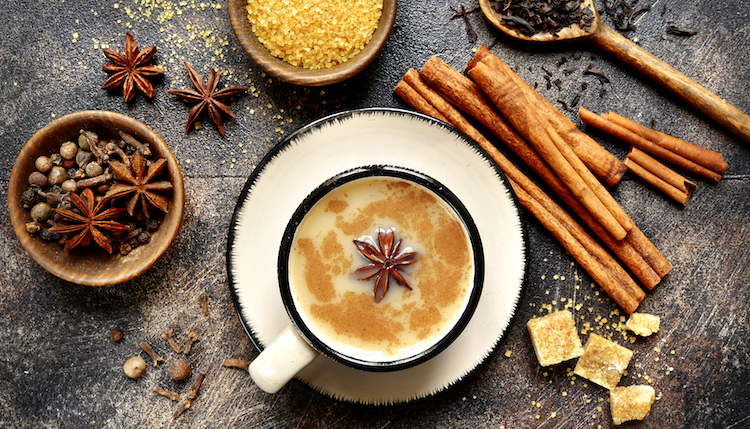 Start with black tea, add milk, bring to a boil with cracked cardamom, star anise, and a gang of other spices, throw in a twist, and top with a helping of sugar or honey. The black tea base is ripe with antioxidants, and has enough caffeine to end procrastination where it lounges. A favorite of both the slums and high-society dens, this delicious drink is like a freshly laundered, matching track suit for your soul. 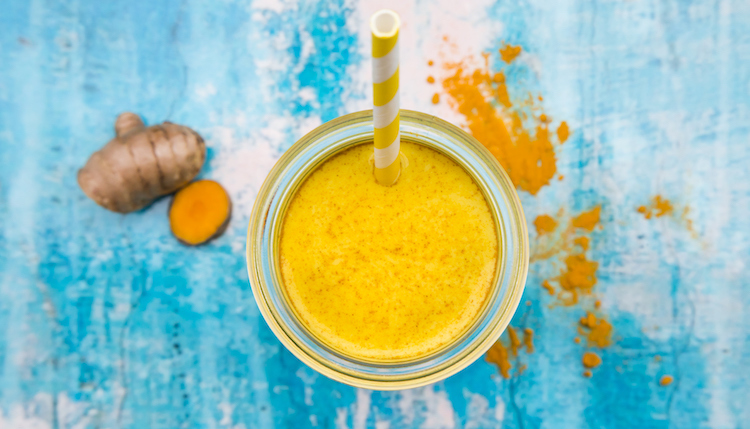 One of the most delicious and addictive drinks on the planet, Golden Tonic is a perfect blend of turmeric, almond milk, honey, and black pepper. Add-ons include cinnamon, ginger, cardamom, and vanilla. While it's entirely possible to use ground turmeric, do yourself a favor and go fresh (your local juice shop can juice some for you). The curcumin in turmeric is a powerful anti-inflammatory that can increase blood flow and speed muscle recovery. A dash of ground black pepper helps your body absorb the goods. Coffee shops and markets have started carrying this drink, but you can easily make it at home. One sip and you'll be screaming, "Sweet ambrosia!" to your dog. Serve hot or iced. Just saying chicory will put a pep in your step. Add it to your morning routine and you'll be off to the races. Chicory root can be roasted and ground just like coffee, and prepared in a French press or drip system. It's caffeine-free, but is chock full of inulin, a soluble fiber that the good bacteria in your gut love to feed on. Slightly sweet, like the lady that delivers your mail, drinking chicory can actually help you trim up by stimulating the bile production in your gall bladder. 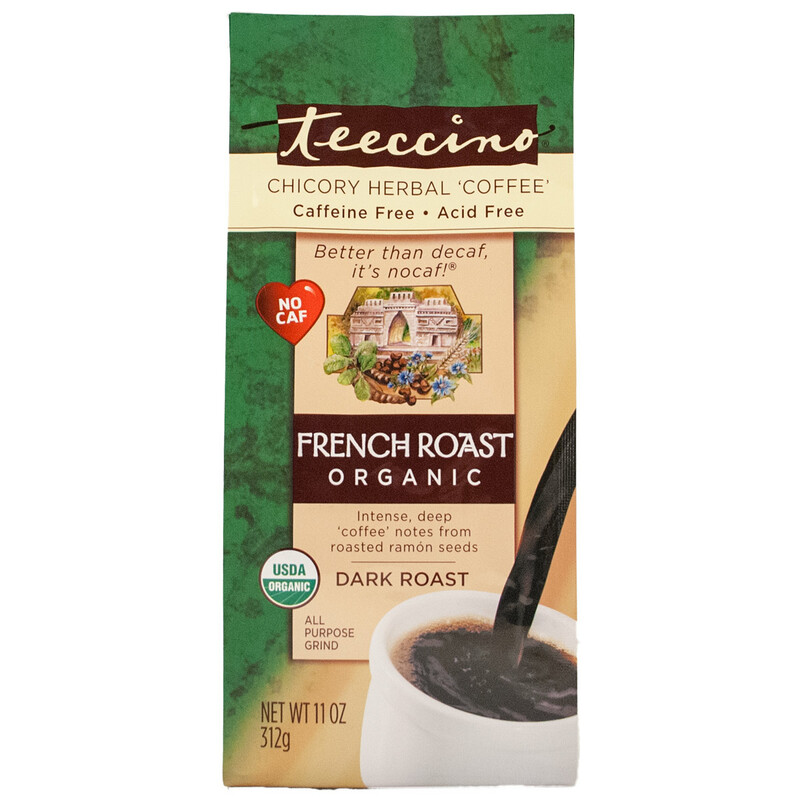 Blended with roasted carob, organic ramón seeds, and barley, Teeccino delivers a flavor eerily reminiscent of real coffee. Like generic brand cereal, you'll barely notice the difference.